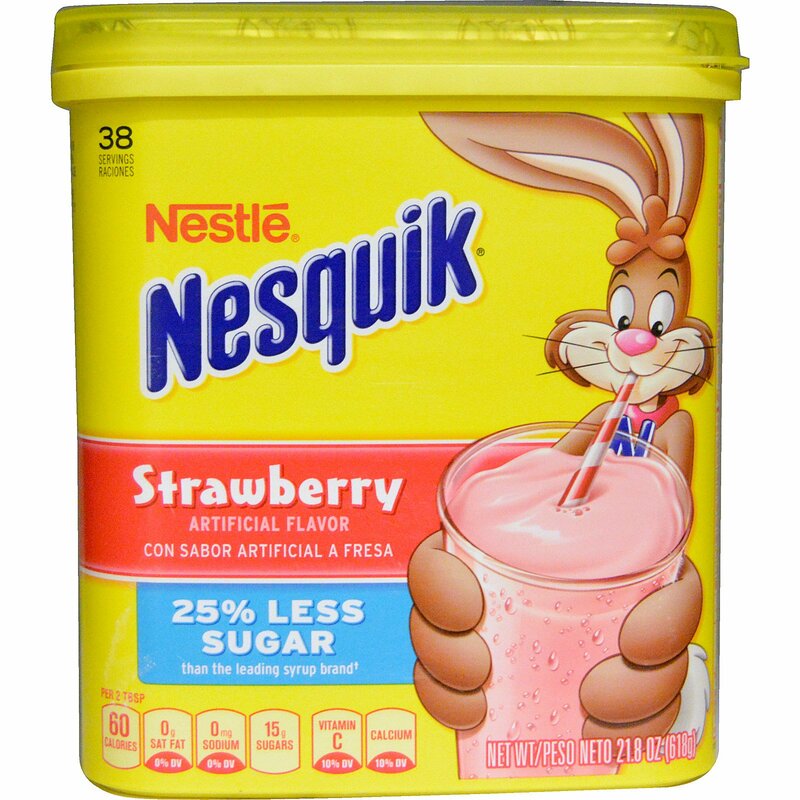 Because Nesquik mixed with 1 cup fat free milk has the good stuff to help kids grow strong and stay active: Protein, Calcium & Vitamin D! And no high fructose corn syrup. †15 g vs. 24 g sugar/svg. This product contain 27 g of sugar when mixed with 1 cup of milk. 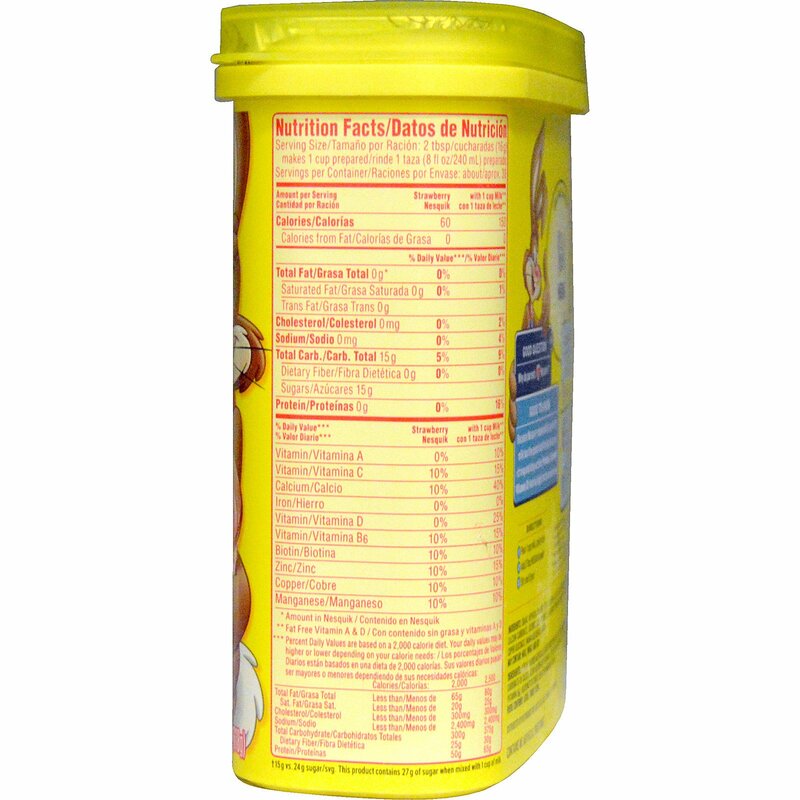 Nesquik mixed with 1 cup fat free milk counts as one of the 2-3 cups of low fat or fat free dairy recommended per day. 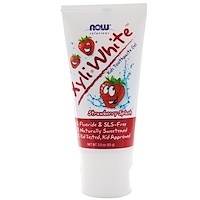 Sugar, artificial flavors, citric acid, red 40, salt, blue 1. vitamins and minerals: calcium carbonate, ascorbic acid (vitamin c), zinc oxide, pyridoxine hydrochloride (vitamin b6), copper gluconate, manganese sulfate, biotin. May contain: milk, wheat and soy. ***Percent Daily Values are based on a 2,000 calorie diet. Your daily values may be higher or lower depending on your calorie needs.